The parish was established using a temporary church that was built in 1939. When the permanent one was built in 1958 this was retained as a hall. The new church was built of brick to a design by L K Hett (TCA 3 p115) and like others of his churches it has a squat western tower and spire which is of oblong plan. There are rudimentary aisles and the whole ensemble differs little from Hett’s churches of 25 years before, inoffensive but with little that was individual. 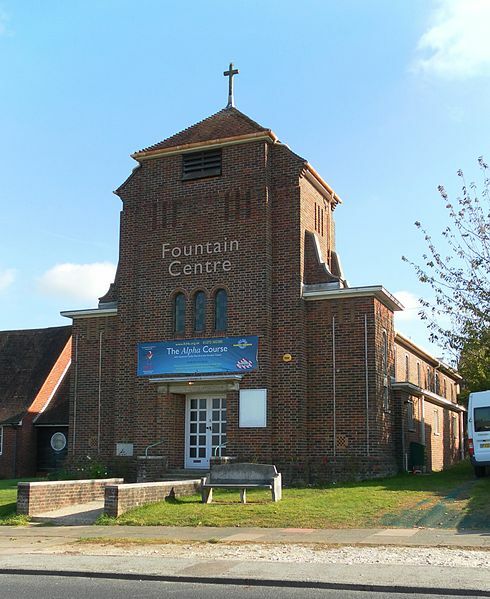 After a re-organisation of parishes in the area, it was declared redundant in 2006 and following some internal changes is now used by another congregation under the title of Fountain Centre. Font: Said to be from the former Catholic Apostolic Church in Carlton Hill (Shipley p35). Glass: (Throughout) H W Wilson, 1960-67 (BE(E) p275). 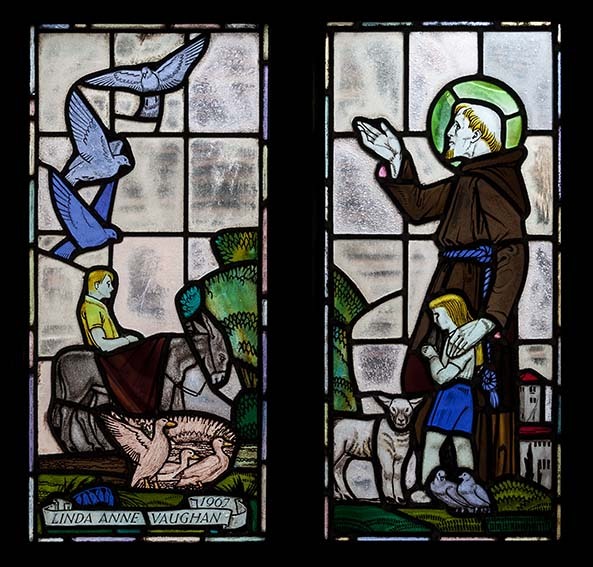 Most consists of figures and scenes set in clear glass except that in the tower stair which is more brightly coloured and shows religious symbols. Stalls: Brought here in 1959 from the demolished church of St Margaret, Cannon Place (Inscription in church). 1. 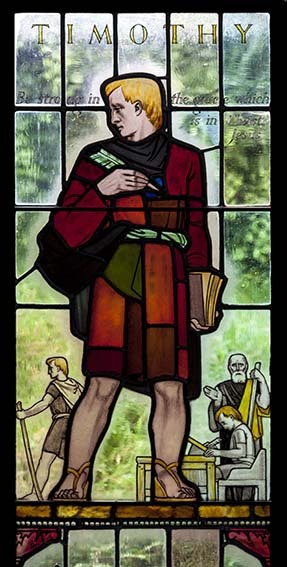 My thanks to Nick Wiseman for the photographs of the glass.